For “B” he could draw an ariel view of Wonder Woman’s cleavage. Am i supposed to see the “A” because i dont!! Her body is the crosspiece of the A. 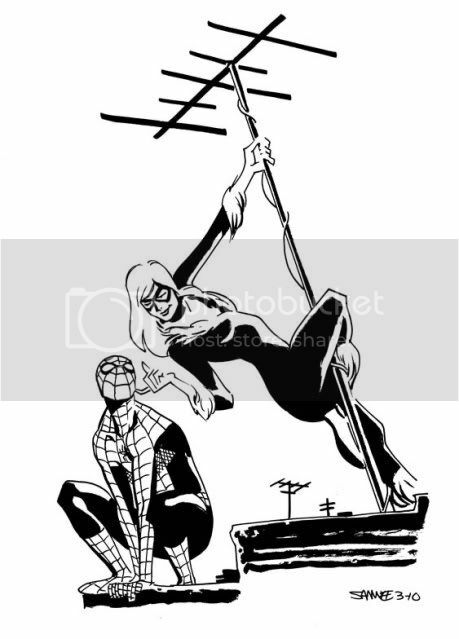 The antenna and her leg form the right arm of the A. Spider-Man and her arm form the left leg of the A.